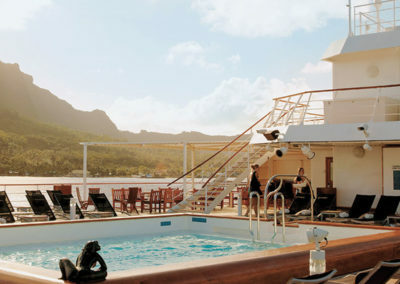 The winner of international awards from such prestigious magazines as Condé Nast and Travel & Leisure and others, the m/s Paul Gauguin is an exceptional small cruise ship. 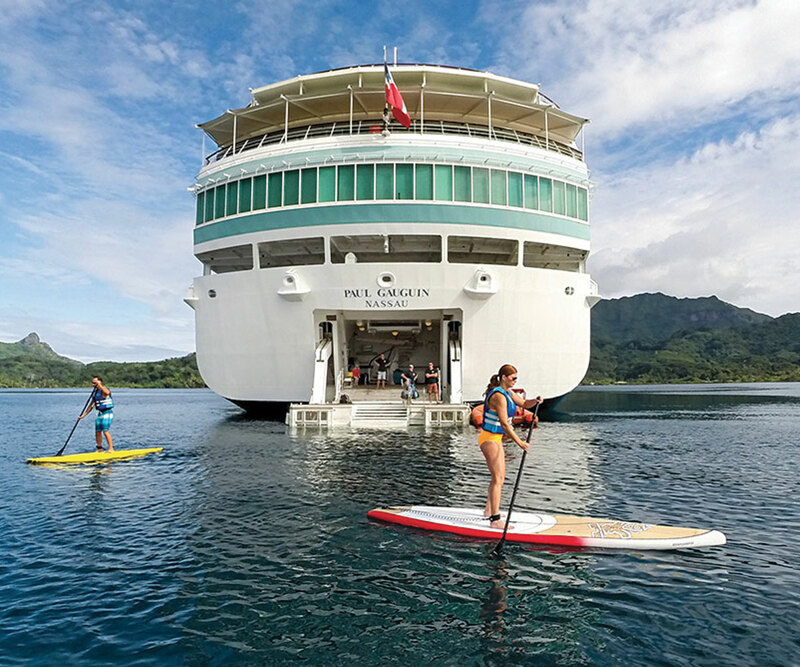 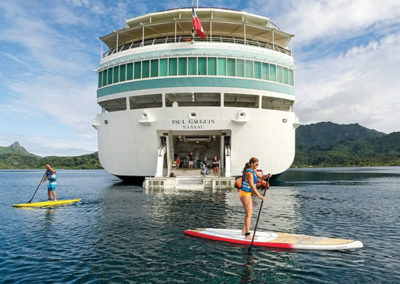 Designed specifically to glide through the shallow seas of the South Pacific, she delivers travelers to intimate ports inaccessible to larger cruise ships, all the while providing an onboard experience that is nothing short of luxurious. 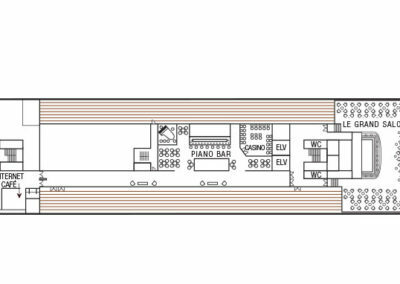 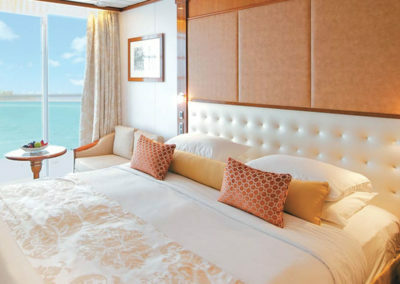 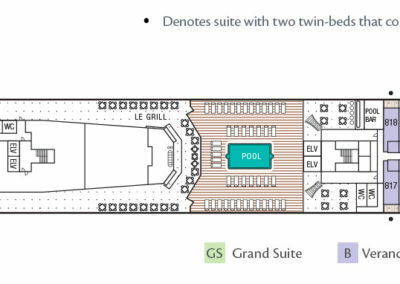 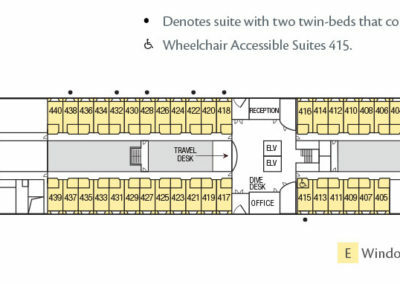 The ship can accommodate up to 332 passengers in 166 cabins. 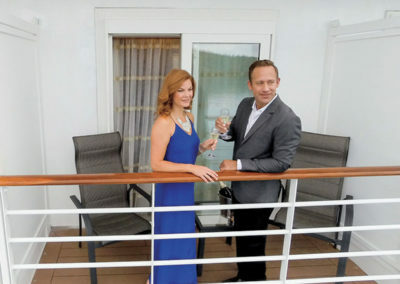 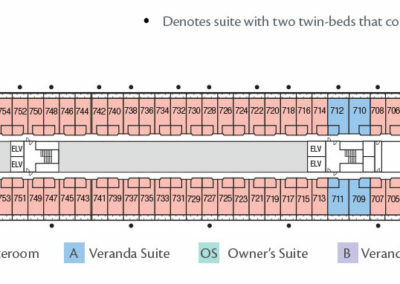 70% of the cabins also have a balcony. 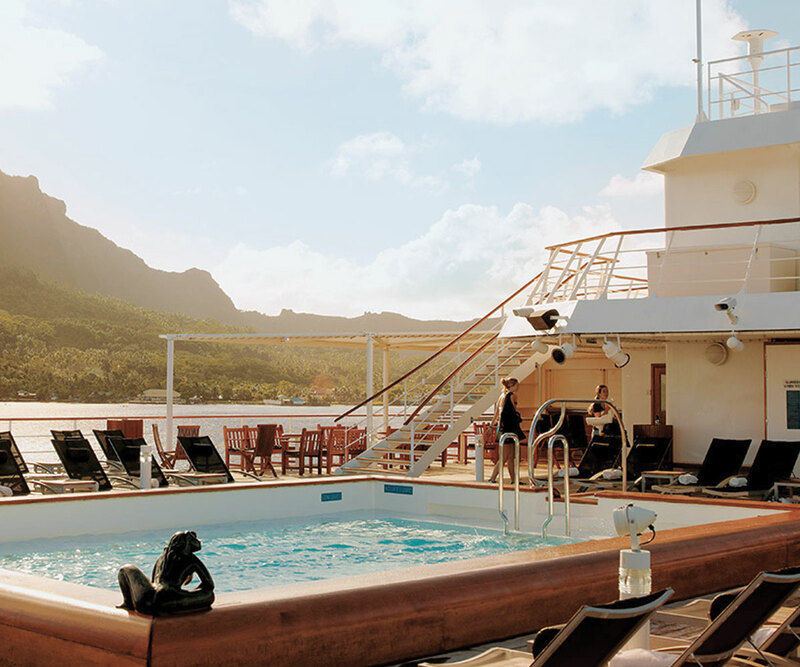 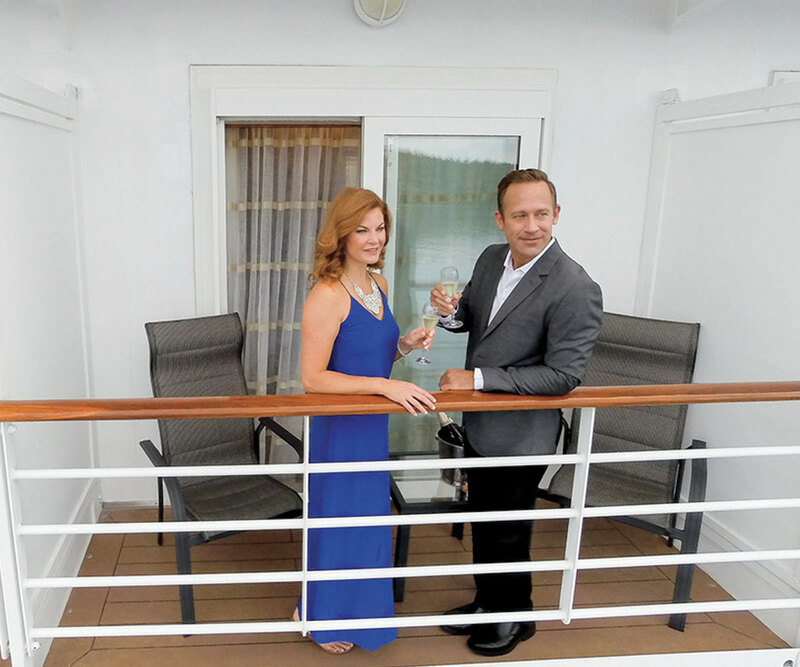 The ship has a crew-to-guest ratio of 1:1.5—among the highest at sea. 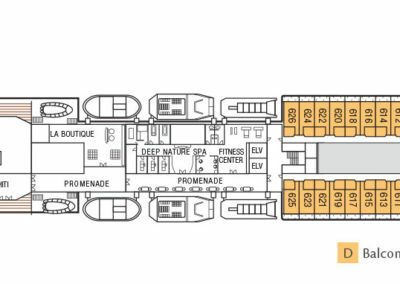 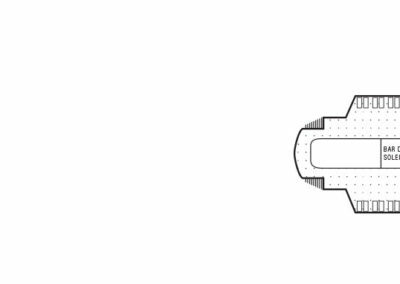 There are 7 passenger decks. 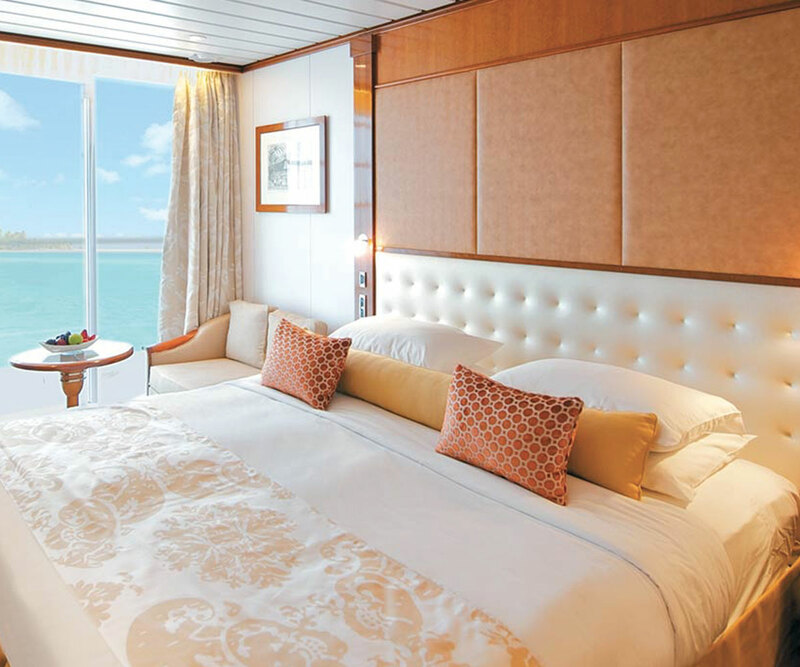 Paul Gauguin Cruises is proud to offer an extraordinary value in luxury cruising, thanks to all-inclusive pricing. 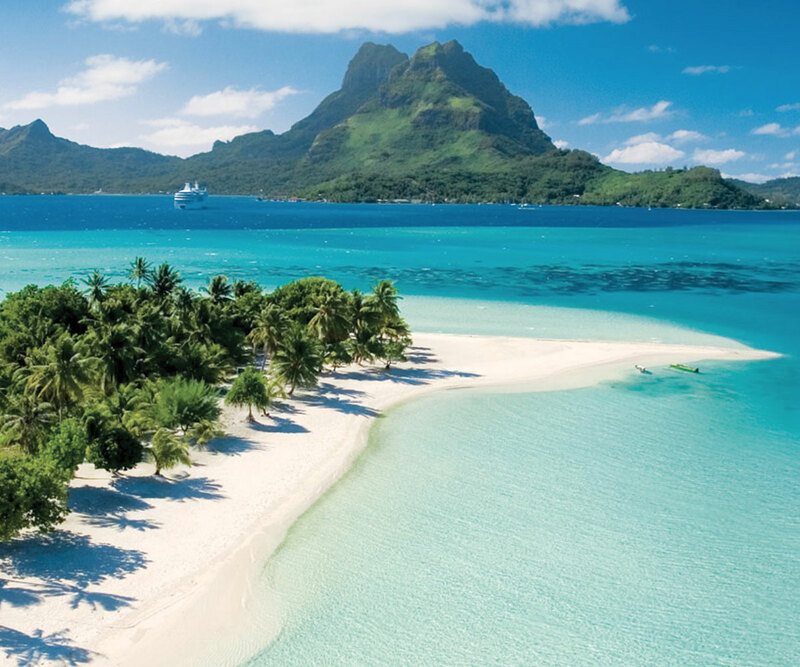 Tahiti & the society islands : Tahiti, Huahine, Taha’a, Bora Bora, Moorea, Tahiti. 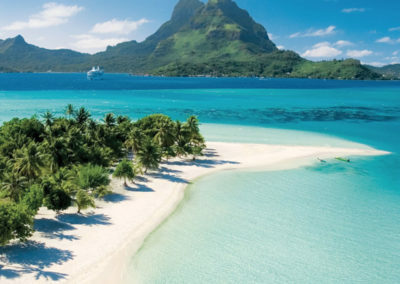 Oa, Tahuata et Nuku Hiva (Marquesas), Huahine, Bora Bora, Taha’a, Moorea, Tahiti (Society).